We don’t have much to report for this month’s Positive Pet Training Hop. Even though we’re settling in nicely to our new home, we haven’t gotten all of the routines set just yet, and that includes regular training sessions. We do our best to include training in our every day activities though. I have been working with Luke on a couple of things here and there: weaving through my legs, and getting him comfortable wearing a muzzle. We haven’t given up on the crate training yet, but the muzzle is another way of hopefully keeping everyone safe while getting him used to strangers. The leg weaving trick may take more coordination – on my part – than I have, but we’re working on it and I do think we’ll get there in time! It would go quicker if I could use the clicker, but I simply can’t coordinate that. I am using the clicker, however, for the muzzle training, and Luke is already sticking his nose inside it and taking a treat from the other side. We have a lot going on with the new house recently, so there’s been some strangers around and I’m trying to use those opportunities as much as I can. When a man came by this weekend to drop off the tractor my hubby bought, I worked with Luke and the girls on not barking at him (he stayed outside), but coming to me and sitting or lying quietly (hopefully staying). I hear someone outside, but I’ll stick with you, Momz (for now anyway). The man was here for a while (men can talk! ), and I’d have fat dogs if I gave them treats for every time they came to me and stayed, but we used praise also and I think Luke did especially well. This week they are putting in a door on the end of our house, so again I’ve worked with them some to get them away from the windows and barking, and paying attention to me instead. One smiling, one giving me that stare. “Leave It’ has kind of become a universal term for Luke that mostly means – “stop what you’re doing and come pay attention to me”. I feel like it’s working well not just for getting him to not pick something up I don’t want him to have, but to not do something I don’t want him doing. I simply have to work some while this is going on, so a lot of the time they do have to be confined to a room where they’ll stay quieter, and so that the workers can go in and out of the house freely. Later in the week when I’m more caught up on my bookkeeping work, I hope to walk Luke around the yard, away from the workers but in their view, and see how he does. The girls won’t even leave me for the most part, as long as I have a bag of treats. Sheba is more patient than Cricket, however! The theme for this month’s hop is “Incorporating play into training”, and even though we didn’t have anything to report on that front, there are some other great posts on that subject which I’ve gotten some good ideas from for future work and fun. Check them out by following the links below! 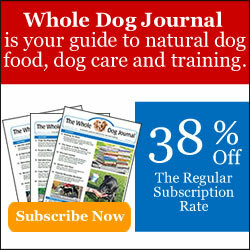 June Positive Pet Training – What’s Your Dog Training Plan? Good job getting some training in when you are so busy with the new place. We had some work done on our house this week so between that and Thunder’s surgery, I am still trying to catch up. It’s amazing how any disruption to our routines can set us back, isn’t it? I haven’t caught up yet since we moved! Good job, Luke! Mr. N gets super excited about strangers who come over and I should probably work on it some more but either they love him and don’t mind or I keep him away from the delivery/repair/etc people. Leg weaves are taking us forever. I need to get back to it. Thanks for joining the hop! But I sometimes wonder if she didn’t react so much if he would settle down too. So I try to work with her as well, but she is one tightly wound beagle and it’s really hard! Let me know if you get back to the leg weaves and how you make out! Good job and keep up the good work! Sometimes when my guys are really interested in something outside I play the “Treats rain from the sky” game. I just go into another room and starting flinging treats about, which is usually enough to distract them. Hopefully all the busyness going on will be a great catalyst to help Luke. Unfortunately we have one greedy little beagle, so throwing treats around can cause some issues! I wanted to get one of those treat dispenser things for training (ones that spit them out), but it would mean getting Cricket out of the room every time. Good boy Luke, sounds like so much is going on at your house. It certainly does, thank you, Elaine! Yay for Jax! Luke just has one issue with “leave it”. He has a thing for used tissues, and I have bad sinuses and a bad habit of leaving them within reach before getting them to the trash. He knows it too, and looks for them! That is one thing that he will NOT give up. What a nut, right? We use drop it a lot as Hailey tends to pick up things outside (like poop). Unfortunately today she got some deer hair before I noticed and it made her sick later! Sigh! It’s hard for us to be as fast as they are sometimes, isn’t it? It always makes us feel better to know we’re not alone with these issues. I hope we can advance to having Luke on a short leash at some point! Wow, I’m impressed. I worry about the kitchen remodel that’s in our future! Rita already hates our contractor! (I don’t know why… normally she is okay w/ calm men, and he’s about the mellowist guy around, but she just HATES him.) I asked him to ignore her, but he doesn’t (says “I like dogs! It’s okay!”) which is part of the problem. Oy. I’ve been working on getting her to stay and leave it when she would normally rush out at the slightest sound from our neighbor. Hoping that will help when it’s remodel time! I bet if you keep working with Rita by the time your remodel starts she’ll at least be doing much better. Ugh, my sister’s boyfriend is like your contractor. He loves dogs and can’t comprehend the need to ignore Luke. That does not help Luke one bit. Cricket likes most people but there are occasionally some men that she does not like. She’ll usually settle down, unlike Luke though. Bentley has recently begun to bark at people when we go on our walks. This is a totally new behavior for him. I am going to start bringing treats with me and making him sit so hopefully, it will help. You have to wonder why they all of the sudden start doing something like that, don’t you? I’ve made good progress with getting the girls to walk on leashes better by using treats, so I bet you’ll do well with that with Bentley. You hit the nail on the head with that one, guys!! Sometimes I think Cocoa does not listen to me at all and then she will do something I have been training with her and I get so excited!! Sounds like things are going great! When people come to our house, I have no luck in getting the dogs to calm down, but J does. Fortunately, the only people who come to our house are friends and family and our dogs love them so they’re barking happily. The one thing I’ve continued to work on is their reactivity towards the cyclists that pass our property (thumbs up, everyone is doing great) and leaving our neighbors chickens alone (they just want to watch them). The chicken training is more challenging – I have to catch them at the right moment or a solid leave it; otherwise, I lose them all. Our neighbor isn’t happy with me. The chickens are in a coop and the dogs just stand outside watching them, but my neighbor is convinced that our dogs are bloodthirsty, because they’re raw fed. Other than having work done on the house, my friends and family don’t even visit that often, so we just haven’t had enough chances to work with Luke on this. We tried one time but it didn’t go well, but it was mostly because my brother in law wouldn’t follow the rules! Your neighbor sounds like an idiot. Really, people seriously think stuff like that? We plan on getting chickens next year and I’d hate to think I’d have a problem with letting the dogs just watch them! Leave it is the most used thing here too…. I mostly ignore that…. it’s spring and leave(s) belong to fall, right? Sounds like some great practice opportunities. Those kind of things are hard to come by, so good for you to use them! Lots of opportunities for new experiences (and new training challenges) with the move and strangers coming and going….sounds like the gang is doing just GREAT!